The Kube – Another busy weekend of fundraising has gone by, with huge crowds supporting all events. Thanks to everyone for their support. Well done to all the contestants who have put in a huge effort fundraising the last few weeks. This was the last weekend of fundraisers, as the big night is this Friday night. Anyone who would like to buy tickets for the night can contact Enda 087 9062787, Colm 087 9000573 or Claire 087 3707248. Tickets are also on sale in Paul’s, Baxter’s and Cusack’s. Doors open from 7.15pm and it starts at 8pm, so come early to get a good seat. We are asking the contestants to be there at 6pm as there are a few things to run through before the show starts. Best of luck to all involved on the night and let’s hope its a great nights fun. Lotto – Results for 11/3/18. Numbers drawn were 1, 6, 13, 21. No jackpot winner. Lucky dip winners were Ciaran Baxter Mohill, Mal Gaffey Mohill, Leona, Sarah & Abby Costello Drumard, Tommy Reynolds Gorvagh. Next weeks draw is in Cusacks. Jackpot €11,300. 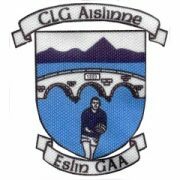 Sympathy – The club extends its deepest sympathy to the family of Phil Mc Govern, Finiskill, Mohill who died recently. May his soul rest in peace. Lotto – Results for 2/3/18. Numbers drawn were 1, 12, 13, 26. No jackpot winner. Lucky dip winners were Diane & Donia Mc Cauley Ballinalee, Bernie Battrim Keshcarrigan, Marie & Sara Mc Caffrey Cornee, Sean Reynolds. Next weeks draw is in Fitzs. Jackpot €11,200. Thank you for your support. The Kube – The weeks are counting down for the big event, and hopefully everybody is in full training and practicing hard!! Fundraising events are still going strong with another busy weekend gone by, despite the harsh weather conditions. Fair play to everyone who came out to support. Events coming up this weekend include Fiona Hands and Tommy Mc Namaras table quiz which takes place at The Sheemore Inn in Kilclare on Friday 9th March starting at 9pm. On Saturday 10th Daragh Gordon is having a carwash fundraiser across from Baxters Centra, and On Saturday night all roads lead to Arvagh where Peter Reynolds and Daniel Pettit are holding an open Mic and Auction night in Murtaghs Old Millwheel Bar starting at 10pm. Then on Sunday 11th Mark Mc Loughlin is having a tractor run which will be starting from the community centre at around 2pm, with €20 entry fee, and there will be refreshments afterwards. Lotto – Results for 23/2/18. Numbers drawn were 15, 16, 21, 22. No jackpot winner. Lucky dip winners were Mary Maguire Stuck, John Wynne Eslin, Noel Butler Eslin, Joe Gilmartin Mohill. Next weeks draw is in Duignan’s. Jackpot €11,200. The Kube – Contestants doing ‘The Kube’ are still doing their fundraising events, and are doing really well. Events coming up this weekend are Mairead Beirnes Catchphrase Quiz Night which takes place in John James Mc Keon’s bar in Mohill on Friday 2nd March starting at 9.30pm. Steve Macklin is running a Poker Classic night on Saturday 3rd March in John James Mc Keon’s bar starting at 8.30pm. Barry Butler is running a 25 Card Drive which takes place in Kiltoghert Community Centre on Sunday 4th March starting at 5pm. We would ask everyone to try and support these events and help the contestants reach their targets. Tickets are now available for the night at €20 each. Leitrim – Well done to the Leitrim Senior team who had a good win over Limerick on a scoreline of 2-18 to 1-9. Training – Training continues this week for all players on Tuesday and Friday night at 8 pm, and weather permitting there will be a challenge on Saturday evening at 4pm versus St. Michaels of Cootehall. Congrats – Congratulations to Fiona Reilly from Bornacoola and Gerard Mc Nabola from Kilnagross who tied the knot recently, best of luck to them for the future. Teresa Gordon Mohill, Eamonn Stenson Eslin, Seamus Tiernan Cloone. Next weeks draw is in John James. Jackpot €11,100. Thanks for your support. Sympathy – The club extends its deepest sympathy to the family and friends of Damien Mc Keon Keshcarrigan who died recently. The Kube – There were three fundraising events ran last weekend for the Kube. John Mulligan had his quiz in Spirit Bar on Friday night, Margaret Mc Nabola had her ceili afternoon in the community centre on Sunday and Barry Bohan had his pool competition in O Carolans on Sunday night. All events were a great success and very well supported. Next up is Keith Beirnes Kevin Painter darts exhibition which takes place in Beirnes Bar next Saturday night 24th starting at 7pm. Tickets for the night, which is on 16th March are also on sale from any club member. Hurlers – Well done to the Leitrim Hurlers who had a good win over Fermanagh on Sunday last. Lotto – Results for 9/2/18. Numbers drawn were 7, 14, 17, 28. No jackpot winner. Lucky dip winners were Phil O’Brien Mohill, Eric O’Connell Mohill, Maria Bohan Cloone, Tommy O’Dowd Jamestown. Next weeks draw is in Beirnes Bar. Jackpot €11,100. Thank you for your support. The Kube – Fundraising for The Kube is now in full swing. Adrian Mc Caffreys soccer tournament which was held on Saturday went really well for him with some very exciting games. Ciara Turbett had a great turnout for her bingo fundraiser on Sunday evening last in the community centre, while Darren Beirne’s darts tournament fundraiser which was held in The Green Rooster that night was also a huge success. Fundraising events coming up this weekend include John Mulligans quiz night which takes place in Spirit Bar on Friday night at 8pm, Margaret Mc Nabolas ceili afternoon which takes place in the community centre on Sunday starting at 3pm, and Barry Bohans pool competition which takes place in O’Carolans on Sunday night starting at 6.30pm. So there is something for everybody. Sympathy – The club extends its deepest sympathy to the family and friends of Gus Guckian from Fenagh, Maura Foy who died in Lough Erill nursing home and Damien Mc Keon Keshcarrigan who died recently. May their souls rest in peace. Lotto – Results for 3/2/18. Numbers drawn were 1, 6, 23, 24. No jackpot winner. Lucky dip winners were David Bohan Drumsna, Sean Early Eslin, Vincey Mulligan Eslin, Johnny O’ Brien+ Michael Mulligan c/o O’Carolans. Next weeks draw is in Taylors. Jackpot €11,000. Thank you for your support. The Kube – Fundraising events have now started for The Kube, with Majella Higgins organising a walk on Sunday last, which brought a huge crowd. Well done to everyone who took part. Adrian Mc Caffreys soccer tournament is on this Saturday in the Sports Complex starting at 2pm. Ciara Turbett is having a Bingo fundraiser in the community centre this Sunday starting at 4pm. Everyone is welcome. Tickets are also available for the night and can be got from any club member. Leitrim – Hard luck to Leitrim who were beaten by Laois 3-16 to 3-10 in the league on Sunday last. They now take on Carlow in Cullen Park on Saturday next at 5pm, best of luck to all involved. Also hard luck to the hurlers who were narrowly beaten by Lancashire 0-15 to 0-14 in Ballinamore on Sunday last. Our own Conor Beirne and James Mc Nabola are part of that team. Congrats – Congratulations to past player Colin Turbett and his wife Caitriona on the birth of their baby daughter Saoirse. Keeping the Eslin flag flying down under!!! Training – Training continues on Tuesday nights at 8 in the community centre, Friday nights at 8.30 in the sports complex and Sunday mornings at 10.30 on the pitch. Lotto – Results for 19/1/18. Numbers drawn were 3, 8, 15, 17. No jackpot winner. Lucky dip winners were Brian Bohan Gortavacan, Kathleen Ward Drumboy, Matthew Bohan Gorvagh, Anna Maxwell Anaduff. Results for 26/1/18. Numbers drawn were 12, 13, 20, 22. No jackpot winner. Lucky dip winners were Diarmuid Higgins Mohill, Sean+Annella c/o Spirit Mohill, Laura+Emma Beirne Eslin, Micky Mc Govern Gorvagh. Next weeks draw is in Spirit Bar. Jackpot €11,000. Training – Training continues on Tuesday evenings at 8 in the community centre, Friday evenings at 8.30 in the Sports Complex and Sunday mornings at 10.30 on the pitch. The Kube – All the people who are going to be contestants on the night are now organising their own individual fundraisers. There are lots of events coming up in the next few weeks leading up to the night, so keep an eye on our facebook page and the notes for dates and times of these events. Tickets for the night are also now on sale for €20, and can be got from any club member. Some of the events coming up are a walk on 4th Feb at 12am at the community centre organised by Majella Higgins, a five a side soccer tournament in the sports complex on 10th Feb from 2pm to 6pm organised by Adrian Mc Caffrey, a bingo evening in the community centre on 11th Feb at 4pm organised by Ciara Turbett and Fiona Hand, a table quiz in Spirit Bar on 16th Feb organised by Annella Mulligan, an afternoon ceili in the community centre on 18th Feb organised by Margaret Mc Nabola. Training – Training for 2018 started on Sunday last with a huge turnout, great to see some new faces and some old faces back on the field again. Training will continue on Tuesday and Friday night at 8pm in the centre. Fundraiser – We are in the process of launching our main fundraiser for the year. It has been 12 years since we had a big fundraiser, which was ‘Who wants to be a Thousandaire’, which was very successful. This time we are going with the popular tv game show ‘ The Kube’. It will be held in Lough Rynn Castle on Friday 16th March with doors opening at 7.15pm, Admission €20. We are now looking for people to take part who will do their own individual fundraising, the main sponsor for the event and people to sponsor adverts. The winner will receive €1,000 and there will also be a raffle and spot prizes on the night. We hope that everyone involved will put in a big effort and make this a success. Anyone who would like to take part or sponsor can contact Enda Turbett 087 9062787, Claire Faughnan 087 9050096 or Colm Stenson 087 9000573. Lotto – Results for 12/1/18. Numbers drawn were 3, 5, 20, 27. No jackpot winner. Lucky dip winners were Mick Murray Drumdoo, Noel Beck Mohill, Ryan Bohan Mohill, Dymphna Gunshinan Gortletteragh. Next weeks draw is in Carrolls. Jackpot €10,900. Thank you for your support. Training – Training for 2018 starts on Sunday morning next at 11am sharp on the pitch. All players available are expected to be there. We have a new management team of Martin Mc Gowan, Joe Reynolds, Barry Bohan, Noel Mc Nulty and Declan Wynne, and we want all players to come out, put the effort in, and get the year off to a positive start. There will be a meeting afterwards to discuss the year ahead. Best of luck to all involved. AGM – The club would like to welcome Claire Faughnan (Mc Nabola) to the executive. Claire has taken over as treasurer of the club and no doubt she will do an excellent job. Best of luck Claire. We would like to thank outgoing treasurer Adrian Mc Caffrey for all his time and hard work which he put into the club the last few years. All other positions are the same as last year. Lotto – Results for 5/1/18 – Numbers drawn were 5, 6, 21, 25. No jackpot winner. Lucky dip winners were Maureen Lynch Mohill, Paul Flood Mohill, Olive Early, David Gordon Treanmore. Next week’s draw is in O Carolan’s. Thank you for your support. National Draw – The GAA National Club Draw tickets are now on sale. We ask people to support this as all money raised goes straight to the club. There are also great prizes on offer. Tickets are €10 each and can be bought from any club member. Engaged – Congratulations to Sandra O Connor and Noel Butler who got engaged recently, also congrats to Louise Mc Loughlin and Enda Shortt who also got engaged, best of luck to them. FBD League – Best of luck to the Leitrim team and management who take on Mayo in the FBD League in MacHale Park this Wednesday evening at 7pm. Sympathy – The club extends its deepest sympathy to the family of Eamonn Tubman who died suddenly recently. Eamonn was very well known for his work with both Fenagh and Leitrim GAA, and he will be sadly missed. Also deepest sympathy to the family of TP Reynolds, Gortletteragh who died recently. May their souls rest in peace.